The head of one of the world’s leading solar PV manufacturers and developers, SunPower’s Tom Werner, predicts that solar will be a $US5 trillion industry within 20 years, and represents one of the greatest ever opportunities in the history of markets. 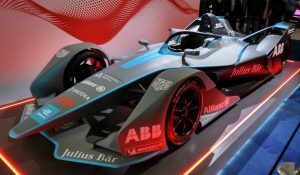 Giles Parkinson of Reneweconomy.com reports on a recent investment briefing given by Werner. Below are two key graphs from Werner’s presentation. 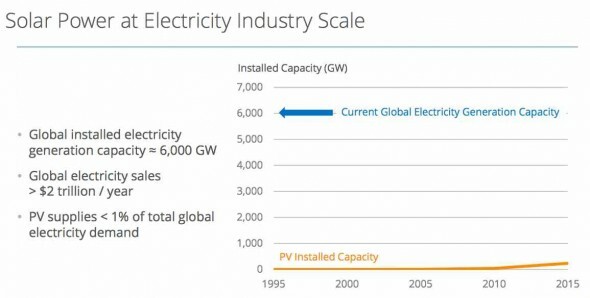 The first is the where the solar industry is now and where it has come from. 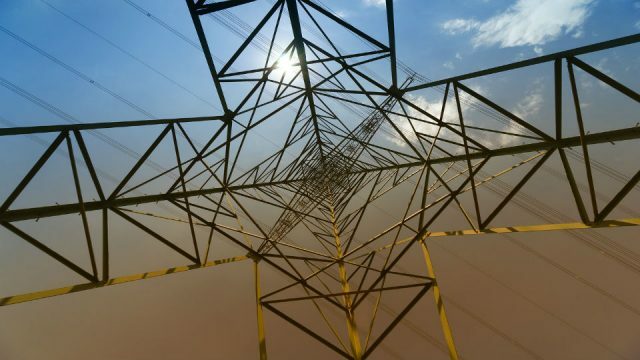 It is barely a scratch of the surface of the global electricity industry, at less than one per cent of total electricity demand, but it’s impact is already clear – particularly in developed countries where it is displacing fossil fuels, and in developing countries, where it is offering a cheaper, unsubsidised alternative. But in the graph below you can see where the industry is heading. 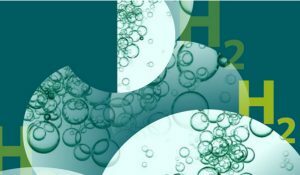 It pretty much conforms with much of the mainstream predictions such as that from the International Energy Agency and IRENA. This is pretty consistent also with the predictions of investment banks such as Alliance Bernstein, who in a recent report on the liquid fuels market noted how solar has appeared, like a lightning bolt from the sky (see graph below), to compete with diesel fuels everywhere, imported LNG in Asia, and gas in developed economies. 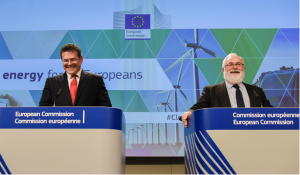 That, Alliance Bernstein said, heralded the prospect of a period of “energy price deflation”, which would cause global investment flows to pause, hesitate, and then perhaps switch direction towards the cheaper, cleaner technologies – driven not just by price, but also the new emphasis on the environment. 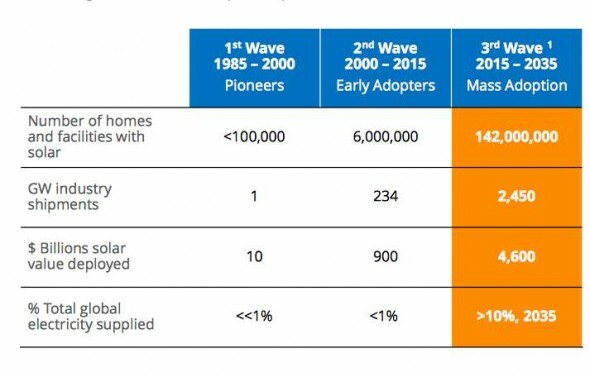 SunPower’s predictions though, are largely focused on the “energy revolution” that will take place at household level. This next graph shows what Werner is talking about. Over the next 20 years, he expects a period of mass adoption that will extend solar to another 150 million homes, or a total of $US4.6 trillion. By that time, distributed solar – on homes and rooftops – will account for more than 10 per cent of total electricity supplied. 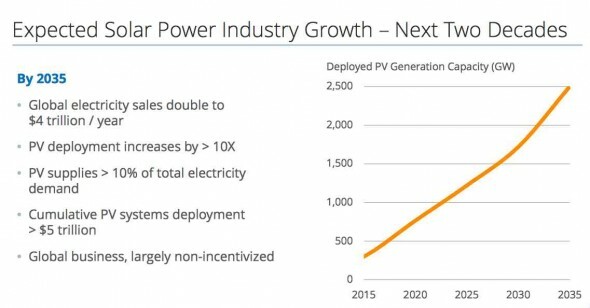 This is why SunPower intends to treble production capacity in the next 5 years. Werner says the key to exploiting this opportunity is a combination of upstream technology, downstream platforms and channels, and access to capital. SunPower, Werner says, will not just be a manufacturer of panels and a builder of projects, it will become a provider of energy services to customers, which means a combination hardware, software, and services. Werner’s comments follow fast on the heals of the joint US-China pact on climate change. While the details of the agreement have been dismissed by Republicans in the US as a “war on coal”, and the Murdoch media globally as little more than talk, analysis shows otherwise. 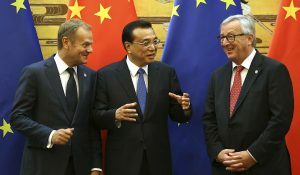 China, for instance, is expected to install 1,000GW (that’s one million megawatts) of solar, wind and other renewables by 2030 to meet its part of the agreement, which could even be ratcheted higher by the time all parties get together in Paris next year. 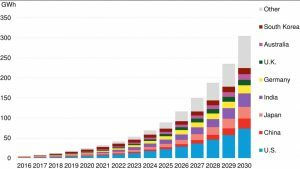 That’s the equivalent of 1.3GW a week of clean energy installed in China for the next 15 years – the clean and emissions free equivalent of a large coal-fired power station a week. 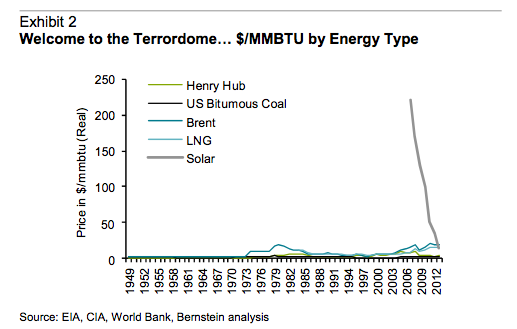 It is amazing how much the sun power market grew! Thumbs up!